Bkerké (Agenzia Fides) – The teaching of the Church must always be taken into consideration and strictly followed by those who, in traditional media or through social media, deal with issues that call into question the doctrine and contents of the Catholic faith. 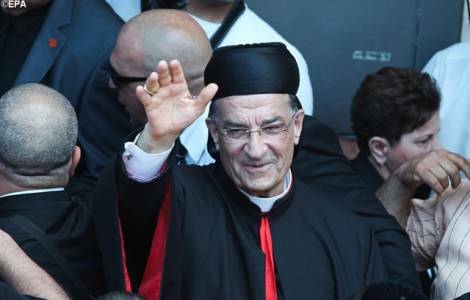 This is the call strongly expressed by Maronite Patriarch Bechara Boutros Rai through the release of the document entitled "The truth that liberates and unites". The patriarchal text, released on Monday, April 9 (the same day in which the Apostolic Exhortation of Pope Francis "Gaudete et exsultate" on the call to holiness in the modern world was published) presents itself as a true doctrinal and pastoral handbook to offer criteria and points of reference that should inspire and guide speeches and debates focused on issues concerning the Catholic faith and the magisterium of the Church. This pronouncement – referring to the introductory part - appeared necessary after recent disputes over doctrinal issues - also through social media - had taken on some exasperated forms and tones, incompatible with the criteria suggested by the ecclesial communion, and risking to spread doubts and confusion among the faithful. The document, divided into 6 chapters and 57 paragraphs, summarizes the truths and criteria that must always be taken into account by those who carry out speeches and participate in debates concerning, for example, the Holy Scriptures and exegesis, the historicity of the Gospels, the dogmas of the Catholic faith, the Virgin Mary and her role in the history of salvation, individual and universal judgment, healing prayers, nature and the work of the devil, hell, Marian apparitions and private revelations. Among the pastoral guidelines, the Patriarch includes the call - addressed to everyone - not to use social media as a tool to foment discussions and to launch personal attacks. In particular, the document asks all priests, consecrated persons, and lay people not to use the media and the internet to get involved in theological-doctrinal discussions without the consent of their own bishops, of their superiors.